Vio Foam - What Sustains Your Restaurant? And what sustains them? Well, the delicious food you serve them, of course! But it turns out that’s only part of the answer. According to the National Restaurant Association’s What’s Hot culinary forecast, (you guessed it) sustainability is one of the top food trends of 2016—which means that more and more customers are as concerned with where the food on their plates comes from and how it was produced as they are with how it tastes. The What’s Hot forecast, which is based on a survey of nearly 1,600 professional chefs, identified locally sourced meat and seafood as the number-one customer-driven trend of 2016, followed closely by locally-grown produce and hyper-local sourcing (meaning that you, the restaurateur, are also the on-site farmer—at least for a portion of your produce). Customers are also keen on house-made specialties (such as ice cream and beer). Environmental sustainability as a culinary theme, including reducing food, water and energy waste, ranked number six. OK, so you can see it’s a successful bandwagon, but how exactly are you supposed to jump on? It’s not as hard as you might think. The first step is to look at your own operation and determine what’s feasible for you. 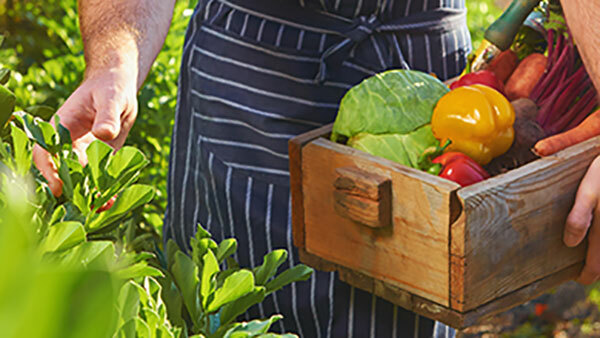 Is your restaurant in close proximity to farmland? Then by all means, make the effort to get to know your local growers and find out exactly what they can provide. Many growers will plant specialized crops if they know they have a ready market. If not, figure out what you can grow on your own. Vertical farming makes it possible to grow fresh greens, herbs, and other vegetables even in the tightest urban settings. And there’s an added bonus: if you do decide to become an on-site grower, your plant-based food scraps suddenly become a resource for your compost bin rather than waste products that have to be disposed of. But even if you’re not ready to become a producer, reducing waste—whether energy, water, or food waste—will also go a long way toward boosting your restaurant’s green credentials. For instance, the NRA estimates that 13% of a full service restaurant’s energy use is from lighting, so something as easy as changing out your traditional light bulbs for LED alternatives can save you money and energy. Installing an efficient pre-rinse spray valve in your dish room can save hundreds of dollars in water and money every year. And maybe the simplest of all: since any restaurant’s needs fluctuate over time, the NRA recommends periodically reviewing your food waste stream to see if you are simply over-ordering. It may sound basic, but it’s an easy step that is frequently overlooked. And what about that meat and seafood? If you’re not already familiar with your local farm scene, websites such as localharvest.com and eatwild.com can put you in touch with producers of organic fruits and vegetables and grass-fed meats. As for seafood, sustainability certification from the Marine Stewardship Council is the gold standard for identifying wild-caught, sustainably harvested fish. If the products you’re being offered lack that certification, the NRA recommends asking: the fish’s country of origin, whether it is wild or farmed, how it was caught, and how the seller verifies the authenticity of the fish. If your fishmonger can’t answer these basic questions, it’s time to find a new supplier. For a comprehensive overview of restaurant sustainability trends, ideas and suggestions, visit the National Restaurant Association’s Conserve program website at: conserve.restaurant.org. Chef Rick Bayless founded the non-profit Frontera Farmers Foundation to provide small capital improvement grants to local family farms. In so doing, he not only helped foster a system of local agriculture (ensuring a steady supply of top-quality fresh produce for his famous Chicago-based restaurants), he also brought the idea of sustainability to an entire community. “We’re a green-certified restaurant,” he says, “and have a LEED certified build-out at one of our restaurants.” “We take it all very seriously. For me, all of those things are an expression of who we think we are as a restaurant.” For more information, visit: rickbayless.com. Ted Turner (yes, that Ted Turner) invested $111,000 on a system-wide switch to LED lighting in his popular Ted’s Montana Grill. The payoff? He saved $140,000 on electricity bills in the first year alone, and $250,000 in the second year. “Everything we do [at Ted’s strives to] do good for the industry,” he says. “It’s fun and exciting and something we can be proud of.” For more information, visit tedsmontanagrill.com, where you can download a pdf detailing the entire TMG sustainability story from its inception in 2002. Embrace the local community and its flavors. Do not overuse certain food sources, like seafood. Be socially responsible, but be profitable. Choose one topic/theme a year and stick with it; these are complex and challenging issues.